on other, similar cultivars. 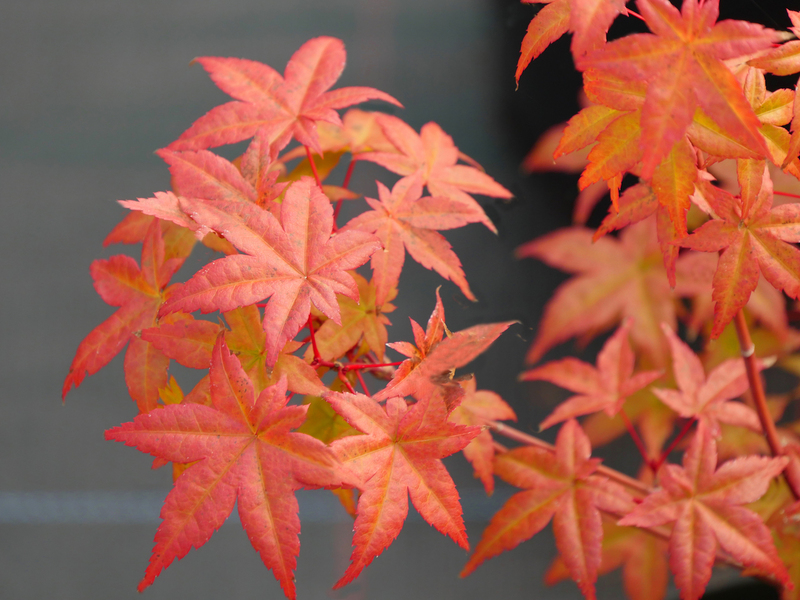 For the rest of the year it is a lighter green, often with reddish bronze edges, turning scarlet in the autumn. The medium-sized palmate leaves usually have five lobes. The lobes are moderately divided two thirds of the distance to the base, radiate from the centre and are strongly tapered to a point. The margins are finely toothed. The thin leaf stalks are shorter than the leaves.